Large diameter pipe cleaning is no simple task; you need the right combination of equipment and experience to ensure success! Uni-Jet Industrial Pipe Services utilizes proprietary high pressure, high volume sewer flushers with flow rates up to 320 gpm @ 2,000 psi in tandem with custom built, high capacity vacuum trucks to make quick work of the most difficult jobs. 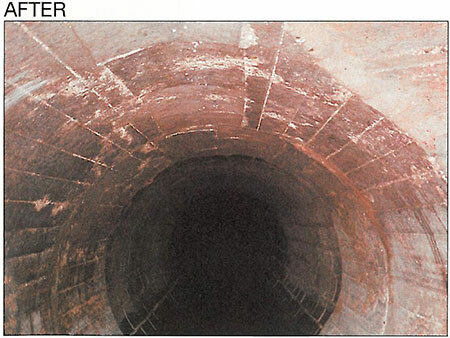 When used in conjunction with our high pressure water blasting services at 10,000 psi, Uni-Jet can cut solid debris out of pipelines to restore the infrastructure to its originally designed flow capacity. 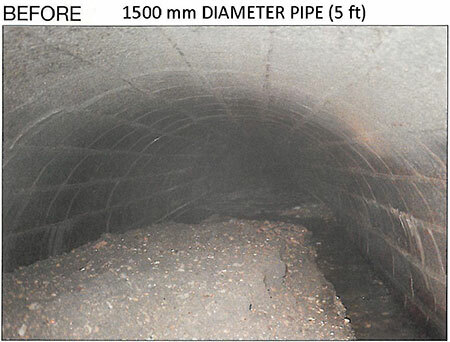 There is no such thing as a "routine" large diameter pipe cleaning project, and often the debris levels and types vary from pipe segment to segment. Years of experience in this challenging field has taught us that not all equipment is created equal. 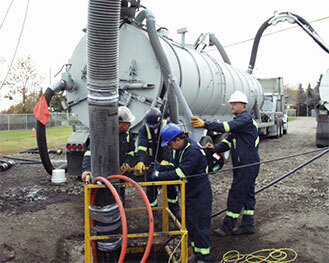 Our flushers and flusher nozzles are custom designed and built to clean and move various types of materials through different pipe shapes and sizes, and our vacuum trucks are equipped with hoses up to 10" (250mm) in diameter to ensure the debris is removed from the pipeline and not just moved downstream. Our process allows for flushing, vacuuming and decanting to proceed simultaneously, increasing productivity and reducing downtime.